This level has medium difficulty. For this level try to play from bottom part of the board. Make striped candy by combining four same color candy. 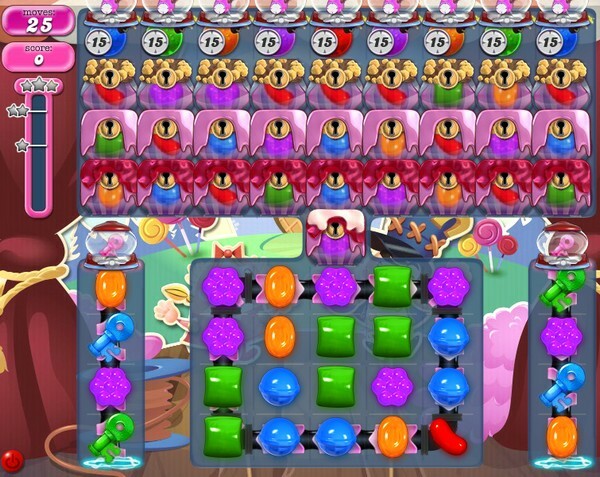 Use it with other special candy to break more blockers that are in top part of the board to get more score. 1906 completed! 2nd board! Open locks, received more points lower box. I have been on this level for over a week….. impossible to get 200,000 points. About ready to give up CC all together!